How Artificial Intelligence and Machine-Learning are making employees happier and businesses better. Discover workforce automation. Claim your copy of the free eBook! Store managers spend over 7% of the workweek handling schedules. 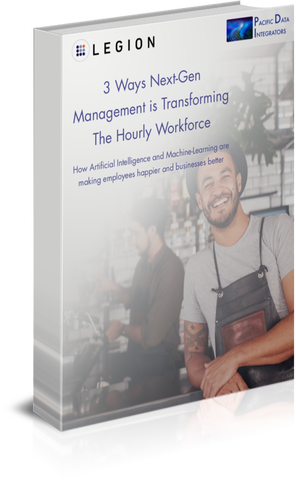 It's time to take workforce management to the next level and automate the workforce scheduling process. Employees want more control over their schedules, and it is not just millennials! When looking at retirees who re-join the workforce, 71% originally retired due to a lack of flexible hours. Leverage artificial intelligence to predict staffing demands with heightened accuracy.